Lancome Hypnose is designed for young women who can combine career & home. 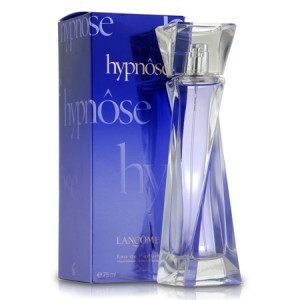 Lancome Hypnose 75ml. Eau De Parfum presents famous brand Lancome. Perfumers company hopes that this fragrance will get in the top five popular perfumes. They believe that the fragrance Lancome Hypnose will be as successful as Magie and Tresor. The new composition as a flavor Magie, warm woody notes present. In both flavors it is composed of vetiver and vanilla, which are interwoven with white flowers and passionflower. The creators of this wonderful flavor steel Thierry Wasser and Annick Menardo. First original fragrance was created in 1950. The new fragrance is designed for young women who can combine career and home. Advertising campaign represents the model Daria Werbowy of Canada. The ability to mesmerize attracts and repels the ability to manage people, and this gives a terrific opportunity for women Hypnose. Witchcraft exists, and it is conclusively proven it for the combination of oriental-woody notes of perfume. Recalling little Magie, it is also filled with vanilla and vetiver, white flowers. Use this chance to feel your own powers of seduction and beauty. Very seductive fragrance for women. Those who have already tried them myself, they know how to dazzle everyone without exception. Woman with aroma simply mesmerizing tempts introduces provocation. It's a new flavor in the series lancome. It really hypnosis after the smell of a woman with such a fragrance men simply bewitched.